Create Captions: you provide video or audio and its corresponding transcript. We create captions that can be downloaded in many formats or used with our plugin for video players. Automate: use our REST API to automate submission of videos/transcripts, and to retrieve you caption files in many different formats. Several of our clients have they workflow completely automated. 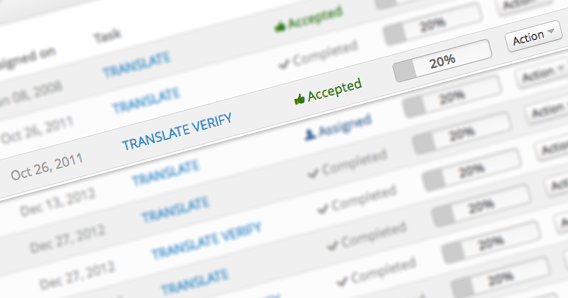 Translate: manage translation tasks for your subtitles via vSync platform. When translation is completed and approved, your subtitles automatically show in vSync plugin on your website. Let your audience translate the content on your website, via the Java Script plugin. Stanford University's eCorner website captions over 2000 videos using vSync service. The Cisco Entrepreneur Institute captions close to 1000 videos and creates over 2500 subtitles in varying languages using vSync service.